Notes: Gaziantep Castle, is a castle first built by the Hittite Empire as an observation point and later built into a main castle by the Roman Empire on top of a hill in the center of Gaziantep, Turkey in 2nd and 3rd century AD. It went further expansion and renovation under Emperor Justinianus between 527 and 565 AD. The circumference of the round shaped castle is 1200 meters. The walls are built of stone and the castle consists of 12 towers. The castle has been renovated numerous times and took its final shape in 2000. 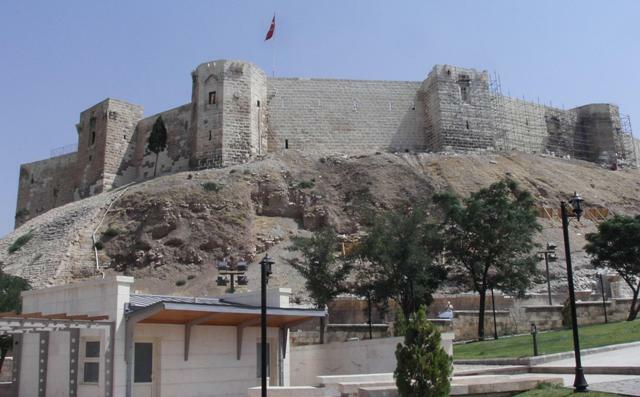 Today, the castle is used as the Gaziantep Defence and Heroism Panoramic Museum, and a documentary regarding the defence of the city against the invading French troops after the fall of the Ottoman Empire runs periodically.